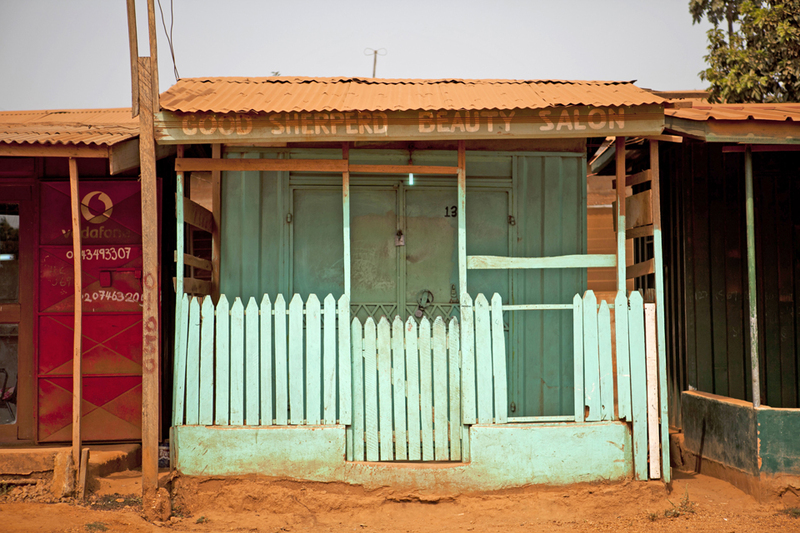 Accra is filled with tiny, colourful stores covered by red earth. All named with some biblical connotations. There is no order to them, they are mostly made from used shipping containers. I photographed so many shops just like this one... I just like the way they looked amongst what looks like chaos to me but from the inside there is an order and purpose for everything! The landscape, the light, the smells, all bound by the people, all working complementary of one another as a whole.